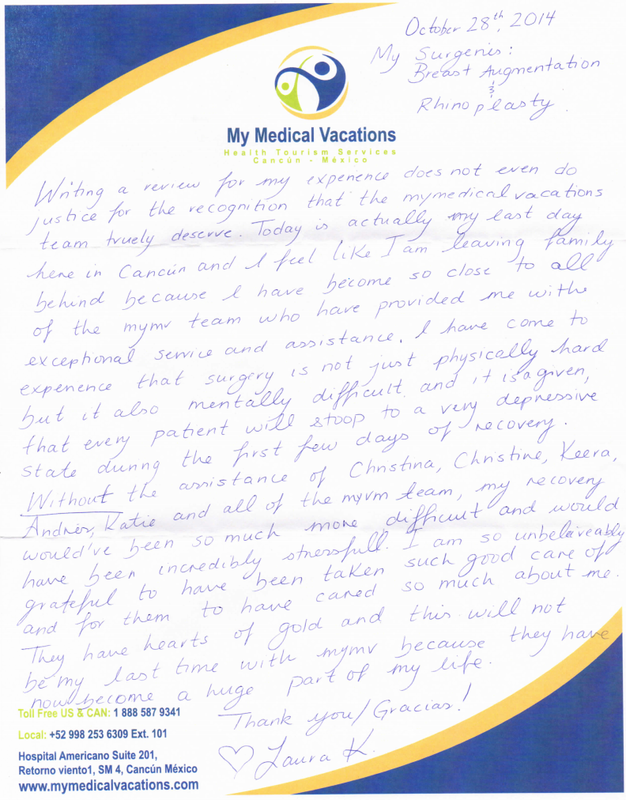 Writing a review for my experience does not even do justice for the recognition that the My Medical Vacations team truly deserves. 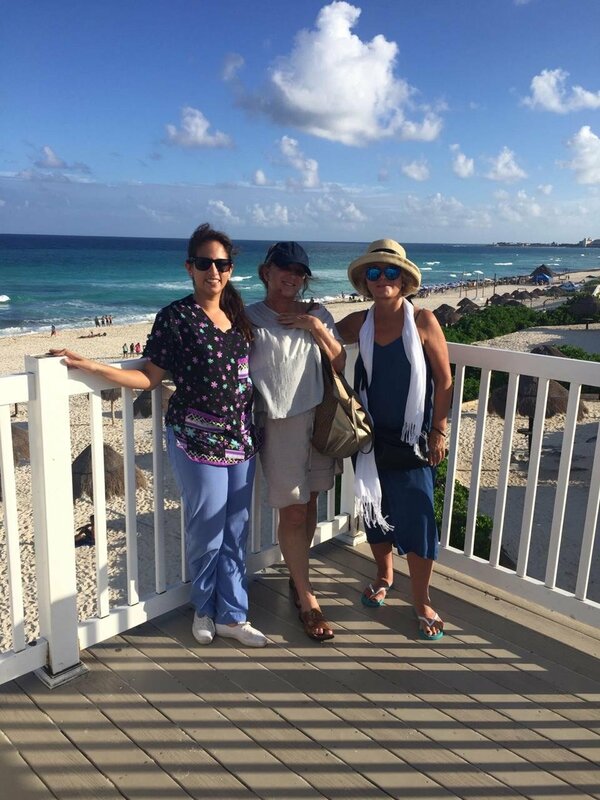 Today is actually my last day here in Cancun and I feel like I am leaving family behind because I have become so close to all of the MMV team, who have provided me with exceptional service and assistance. I have come to experience that surgery is not just physically hard but is also mentally difficult and it is a given that every patient will stoop to a very depressive state during the first few days of recovery. 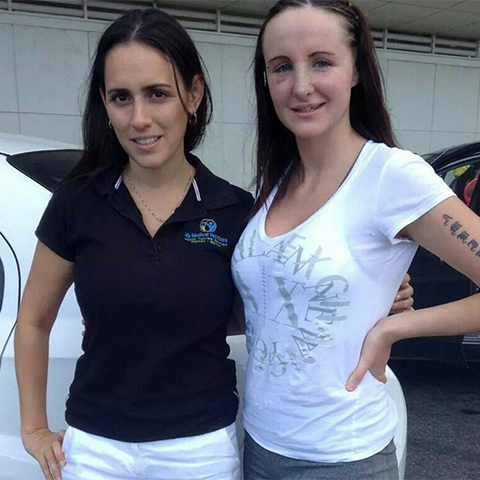 Without the assistance of Cristina, Christine, Keera, Andres Katie and all of the MMV team, my recovery would´ve been so much more difficult and would have been incredibly stressful. I am so unbelievable grateful to have been taken such good care of and for them to have cared so much about me. They have hearts of gold and this will not be my last time with MMV because they have now become a huge part of my life.